Comic Book Legends: Thursday Thoughts Convention Edition! Well hello comic book fans. Welcome back to another edition of Thursday Thoughts. But this time, I have a treat for you all. This weekend is one of the best weekends of the year. 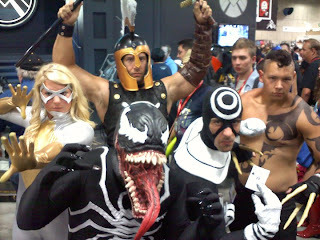 The Chicago Comic and Entertainment Expo 2012, or C2E2, is finally upon us. Although it's still young, it's quickly becoming one of the better cons in the country. And to celebrate what will be an amazing weekend, this week's Thursday Thoughts is a special convention edition. 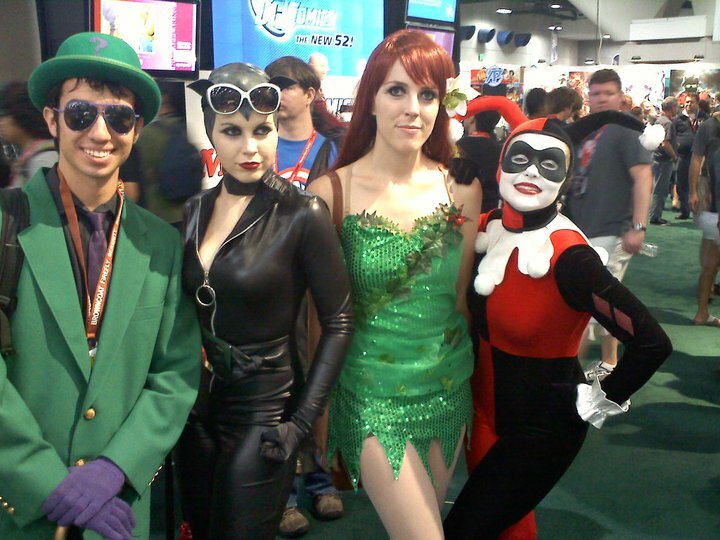 I've been going to conventions since 2005 when I stumbled upon Wizard World Chicago. Of course that was when it was still, you know, fun. Since then, I've been to several of those, the first two C2E2 shows, and SDCC (finally!). So let's get to it. 1. 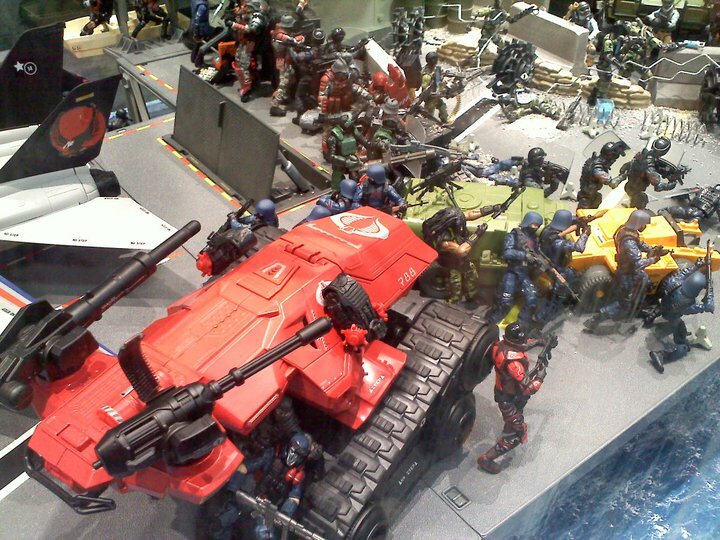 I love toy displays. But I'm sure everyone does. In 2011, I finally made my trek to Comic-Con. 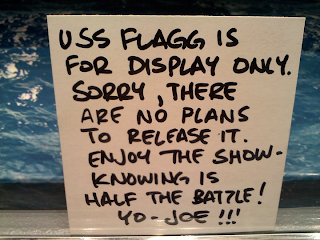 Yes, THE Comic-Con. SDCC. So you know all the big companies are there. This includes toy-extraordinaire, Hasbro. 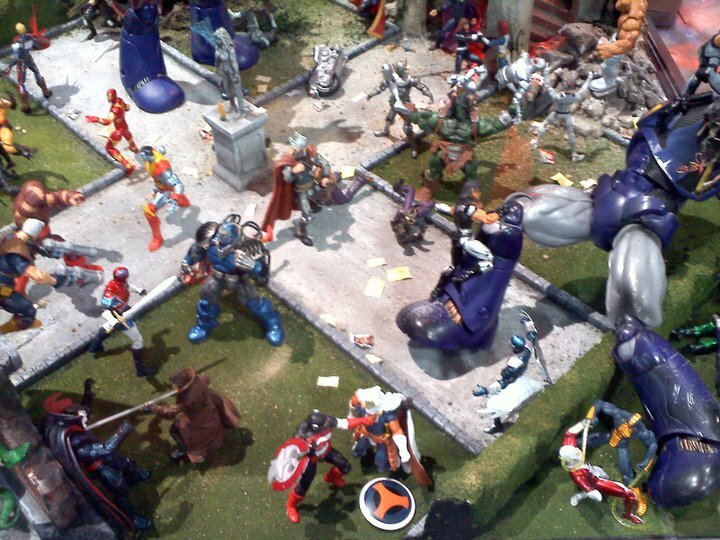 The king of action figures set up large displays for their Marvel Universe and G.I. 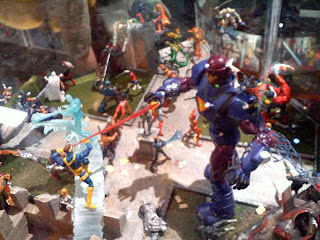 Joe action figure lines at SDCC 2011. And being the action figure fan I am, I spent more than my share of time enjoying the sights. It doesn't hurt that those two are my favorite toylines right now. Those first two were from the best toy display I've ever seen. Most of them, as expected, are Marvel Universe figures. There were a few Spider-Man figures in there as well, including Carnage. It was like a huge Marvel battle lifted right off the pages. It was beautiful. 2. 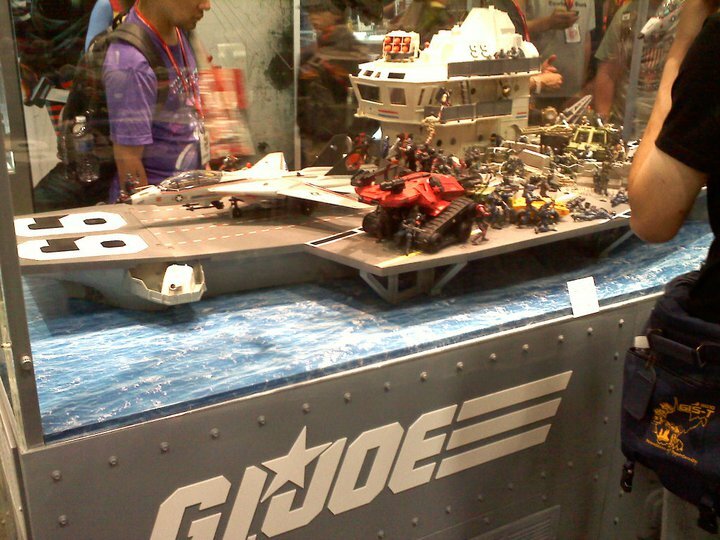 As previously stated, 2011 was the year I finally hit SDCC. And while I did enjoy the weekend overall, I was definitely bored at several points throughout the weekend. This was partially due to a severe lack of panels that interested me. 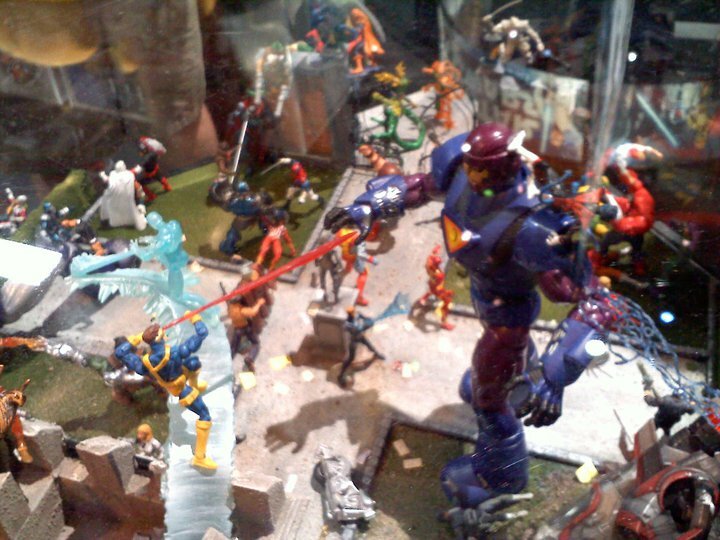 I remember checking out panels for X-Men, Spider-Man, minimates, Hasbro Marvel toys, and a few others. I spent most of the busiest day at any convention, Saturday, just walking the floor taking pictures of costumes, toys, and the displays set up around the convention hall. I do find that fun, but that's the type of fun I can get at any con. 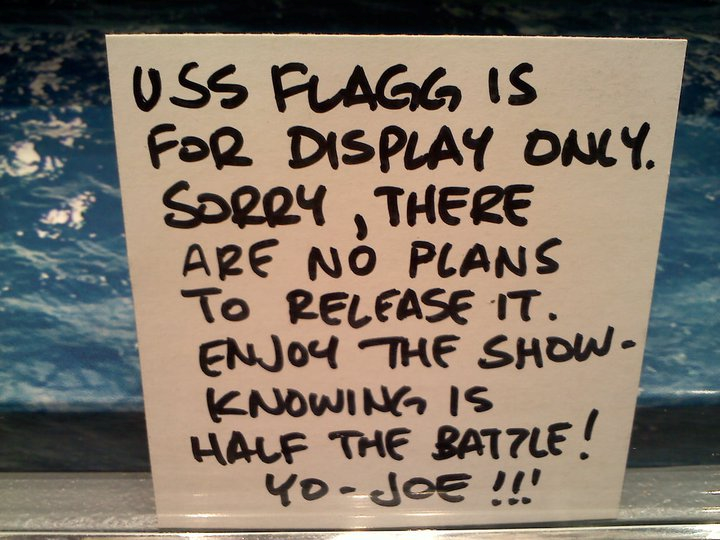 I was expecting so much more from SDCC. That's not to say I wouldn't go back, because I would. And when I do, I'll make more fun. 3. Cosplay is pretty fun. I'm still relatively new to it, but I've always enjoyed seeing the costumes. 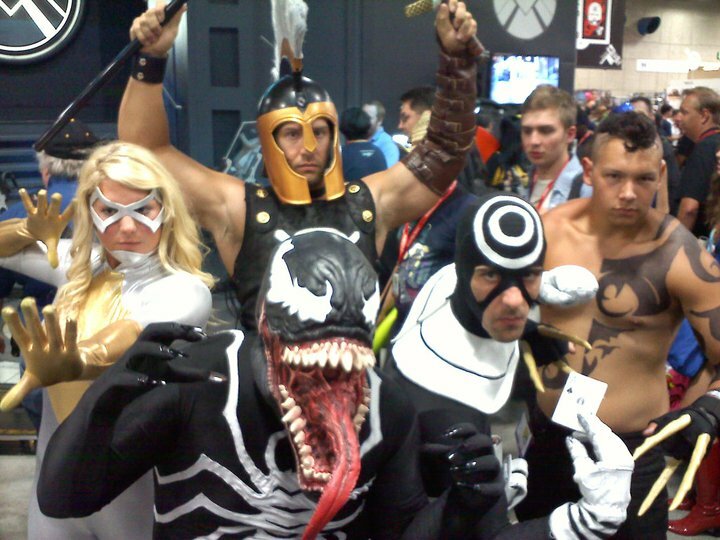 I have to say group cosplays are cool as hell. Some of the ones I really like are the ones themed after the X-Men, Avengers, and Spider-Man villains. Even if the people didn't go together, but just have similarly themed costumes and just happen to run into each other, it makes for cool pictures. Below are two pictures I took at SDCC 2011. On top are the Dark Avengers and on bottom are some Batman Villains. I've said it before and I'll say it again, I love Catwoman's design. I love those goggles. I expect to see a ton at C2E2. I'll actually be a part of two groups this weekend. I'll be Luke Cage again, and there's supposed to be an Avengers vs. X-Men group running around. As for my second costume, well that's a secret, only those who are in the same group and a few others who happen to have come across the information know about it. I can't wait to unveil it. 4. 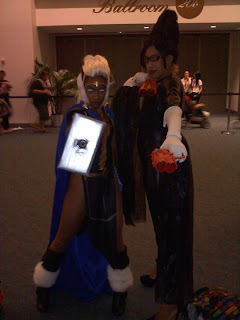 On another cosplay note, I like when people cosplay as characters of another ethnicity and/or gender. Obviously the race one doesn't have a word, but according to wikipedia and probably everywhere else on the internet, the gender one is "crossplay." This hobby is supposed to be fun. You shouldn't be limited to cosplays of a certain race or gender. Although my first costume was that of a Black character, I would never just cosplay as Black characters. I've had plans for cosplaying as several white characters and the second costume I mentioned for this weekend is a white character. And while I have no plans to ever cosplay as a female character, I do like Katana's look in the current Birds of Prey series. That one is different though because her costume is fairly neutral-looking. Below are two examples of what I'm talking about. First is Asgardian Storm and Bayonetta. For those unaware, Bayonetta is the lead in a video game of the same name. It's got some great combat, but that's besides the point. The character is actually white, but did that stop this young lady from cosplaying as her at San Diego? Hell no. Nice costume. And here is another shot I took at SDCC. 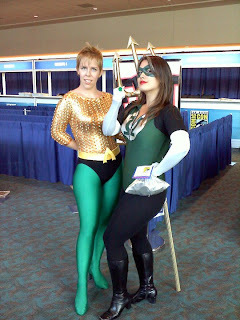 We have Aquawoman and a Green Lantern. I don't know if the Lantern is a specific character or just a general member of the Corps. 5. Promo materials should be a standard at any convention for every publisher. Not just because people like free stuff, but because not every attendee has knowledge of comics and other related areas. I have no doubt that many people at conventions are just there to learn more and get interested. If they don't know where to start, that's where promo stuff comes into play. Want to read comics? Free comics from some publishers can get people started. Want to nerd up your living space? Those posters from a company's booth will do the trick. I have several on my walls right now. That concludes this special edition of Thursday Thoughts. Feel free to comment. I know some of these apply to any number of people out there. Who's headed to Chicago for one of the best weekends of the year? I'll be around the whole weekend. I'll be live tweeting just about anything and everything I come across. I'll also be blogging throughout the weekend. So stay tuned. You can also expect a ton of pictures posted over the course of the weekend or immediately after. You can also catch me drifting through the twitterverse '@xthalastdragonx'. There's still time to grab a ticket and join in on the fun. See you all this weekend.